MyFutureOwl.com - Tools and Resources to Plan for a Successful Financial Future! The power to create a brighter financial future is yours! MyFutureOwl.com offers you the tools you need to learn how to keep a vigilent watch over your future. Use our mobile-friendly toolkit of financial trainer apps, financial calculators and other educational resources to begin the process of learning to plan your own prosperous tomorrow starting today! You may view background information on Christine Van Meter and David Van Meter online using FINRA's Broker Check tool. MyFutureOwl.com develops sophisticated but fun-to-use financial training applications that can help you learn how to solve complicated, real-world problems in the areas of money management, saving and investing, retirement planning, and taxation. Take it to the next level in your financial life by learning more about planning for the future, building your weatlh, saving for future goals, and organizing your taxes. Try out these free Financial Trainers today! 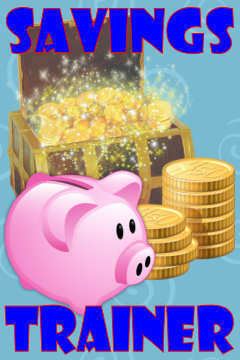 Savings Trainer: explore wealth building, savings goals, retirement income and more! Get Serious about Your Financial Future, Starting TODAY! Do you have a good relationship with your money? Or do you find yourself lying awake at night worrying over your bills, and arguing with your partner over money by day? Perhaps it is time to work a bit at improving your knowledge of your finances so that you can get your future under control. Personal finance involves applying the basic principles of finance to manage your money by using best practices such as keeping a record of income, budgeting, saving, investing, and managing financial risks according to an overall plan for realizing your future dreams and needs. Here we are building a collection of useful educational and informational resources that will help you develop your financial literacy, so that you may possess the skills and knowledge on financial matters to confidently take effective action that best fulfills your personal and family goals. But improving your financial literacy is just the beginning of the journey to a better future. A successful financial journey entails seeking the help of professionals to help you effectively implement your personal financial goals. Please consult with your financial advisor in order to make the most out of your future! This website and applications are developed and maintained by the Parhedros Corporation. Copyright ©2015 by Parhedros Corporation - All rights reserved. The informational content on this website is provided by Van Meter & Van Meter, LLC. Securities offered through Registered Representatives of Cadaret, Grant & Co., Inc., member FINRA/SIPC. Van Meter & Van Meter, LLC, and Cadaret, Grant are separate entities. Licensed to offer securities in the following states: AZ, FL, GA, MA, ME, NC, NY, OH, OR, PR, RI, TX, and VA.